Gold Sparkle. According to the first owner, this drum has been used for years in a sea cruiser's dance band. The salt of the ocean has signed the Gold Sparkle. Second oval badge since the famous cloud badges from before WW II. Awfull sound, fat, woody and powerful. 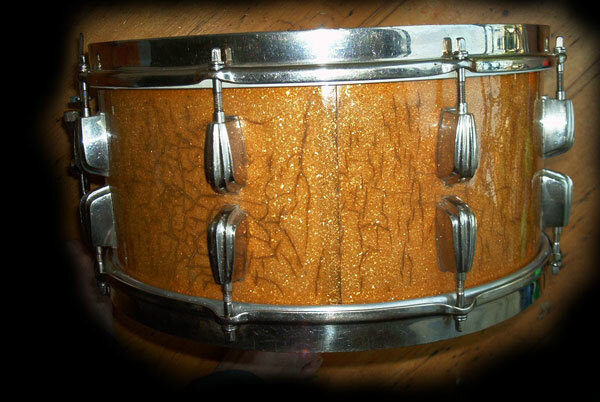 I used this snaredrum in the studio with beautiful results, That is apart from wrecking the original head. I guess old calfskin heads dry in years and break when beaten up. What makes a Radio King a Radio King? The strainer brackets? Not for me. 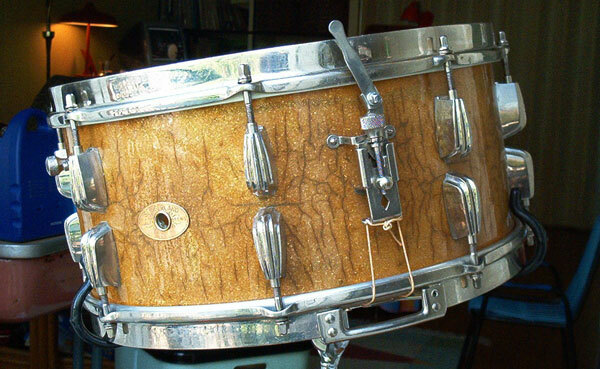 This solid maple drum has the romance and sound it takes to be real. 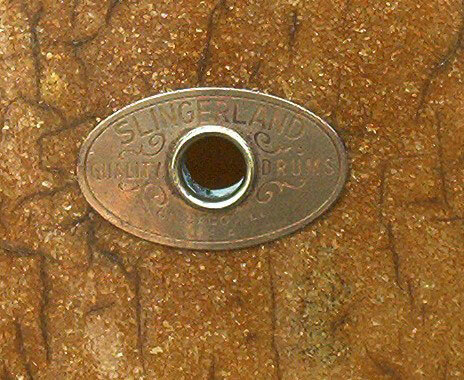 Same drum was offered in 1941 (cloud badge) as 'The Buddy Rich Artists' Model Radio King Swingster'. 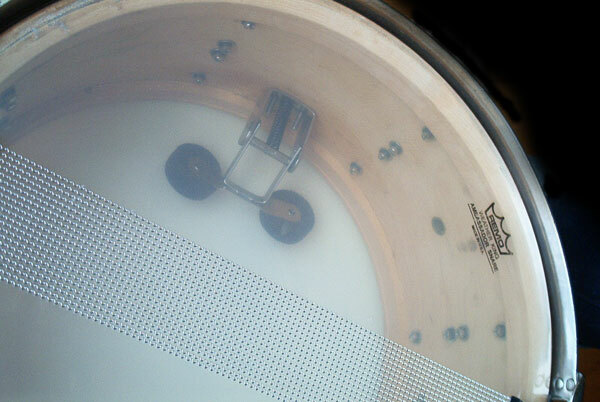 Inside of the drum looks like new.